It’ll make you friends. Land you that big promotion. Fill the void. Mic drop. Walk off home run. Pick up mic. Crush karaoke. The origins of the first Chambong came about in early 2014, during a moment preempting the Super Bowl. We had an epiphany the week prior of the big event to create a “Super…Bowl.” The resulting device of our imagination harnessed an ability to hold an extraordinary amount of cannabis, however was sadly non-functional as a smoking apparatus. Fortune would prevail several evening later, while onlookers examining the piece remarked at how it looked like a fantastic wine “shooter”. They promptly filled it with Champagne and experienced the resulting magic…And thus was born the glory that is — The Chambong. Why not push the limits of party science? We are artists, dancers, drinkers glass blowers, businessmen, scientists and friends with a belief that friendship and community are key to a happy life. That’s why we weren’t satisfied with the current champagne drinking experience. We want classy without pretension. Rituals without exclusivity. And most importantly, an experience that feels magical. We now have the technology. 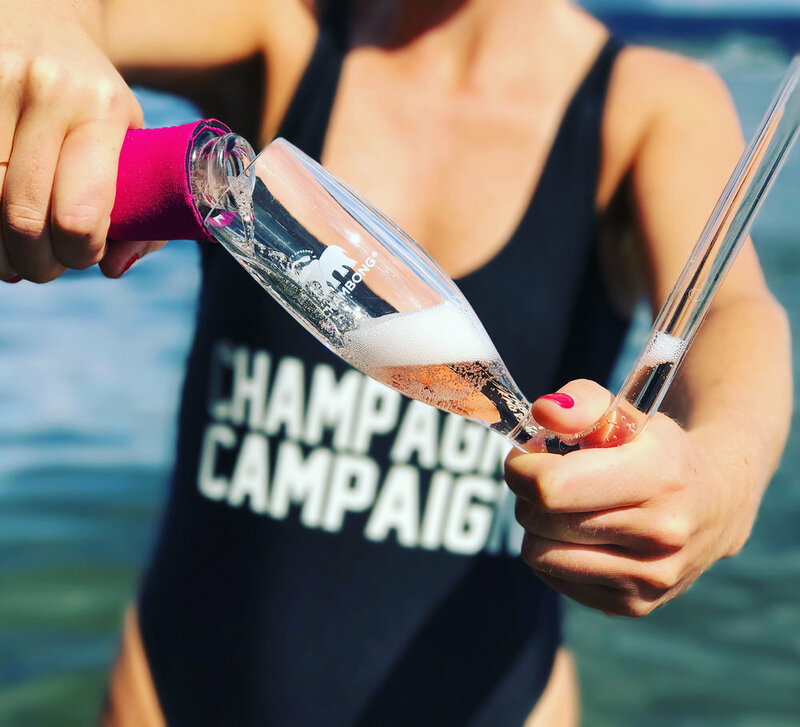 Experimentation, research, field testing, field testing, and more field testing led us to an elegant solution….the Chambong. We made the perfect champagne drinking device and now, it’s available to you.